For the cake, place the mixed fruit, dripping, sugar and water into a pan over a medium heat and bring to the boil, stirring constantly. Remove from the heat and leave to cool and soak overnight. Grease and line a small loaf tin. Sift the flour, baking powder, bicarbonate of soda, cinnamon, nutmeg and allspice into a large bowl. Add the cooled fruit mixture and mix well. Add the eggs one by one and beat the mixture together to combine well between adding each one. Remove from the oven and cool in the tin for 30 minutes before turning out and leaving to cool completely on a wire rack. For the Seville orange marmalade, halve the oranges and scoop the flesh into a food processor, leaving the pith behind. Blend the orange flesh to a smooth purée and pass through a fine sieve into a non-reactive pan. Remove any remaining pith from the remaining peel, then slice the peel into thin strips and set aside. Add the lemon juice, water and sliced peel to the pan of orange juice and bring to the boil over a medium heat. Reduce the heat and simmer for 1-1½ hours, until the peel is tender and the liquid volume has reduced by half. Add the sugar and stir until it has dissolved completely. Bring the mixture back to the boil and cook for a further 10 minutes, removing any froth that may form on the surface with a spoon. Test whether the marmalade is ready by spooning a little onto a chilled plate and push it with your finger - it should be like jelly. If it is still runny, cook for a further 5-10 minutes, or until jelly-like on the cold plate. 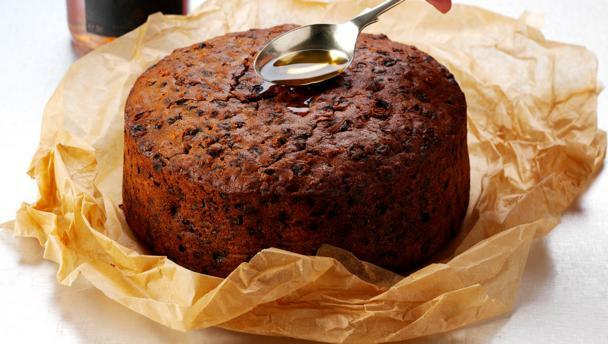 To serve, slice the cake and spread generously with the marmalade.